Heart failure (HF) has been an increasingly growing public health problem and social burden. One prevalent cause of HF is familial cardiomyopathy, such as the dilated, hypertrophic, restrictive, or arrhythmogenic cardiomyopathy and left ventricular non-compaction. 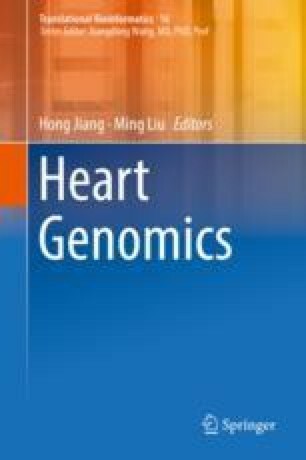 With the help of the genome-wide association study and progress in genetic screening techniques such as next-generation sequencing, virtually 100 disease-associated genes have been continuously identified for cardiomyopathies. Recent genetic researches of single gene variation and genotype-phenotype relationships have provided profound insights into the complicated mechanism of cardiomyopathies. These findings greatly promoted the understanding of cardiomyopathies with different etiologies and facilitated the genetic counselling, screening inchoate diagnosis, and better management and prognostics of inherited cardiomyopathies and HF. In this chapter, the major genetic causes of inherited cardiomyopathies causing HF and the cellular functions of the genetic factors are mainly discussed.